Por ser parte del Círculo de Afiliados podrá asistir a la Feria Internacional del Libro. El país invitado de honor es Colombia. Con un total de 1.698 votos, los empresarios que hacen parte del Círculo de Afiliados de la Cámara de Comercio de Bogotá eligieron a los nuevos miembros de la Junta Directiva por un período de cuatro años, que inicia en el mes de enero de 2019. This certificate will help bring some recognition to your enterprise activities. Why belong to the CCB Members' Circle? To belong to the group that leads the business development of the city and the region. To gain benefits and strengthen the relationship with our Organization. To become one of our special clients and receive a series of benefits and preferential services. What is the CCB Members' Circle? 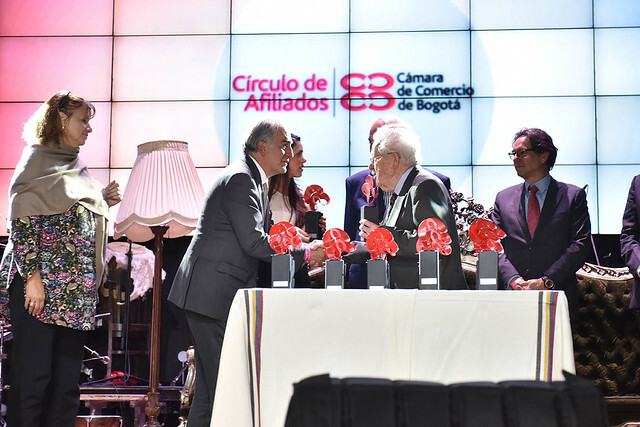 It is a group of companies that, fulfilling minimum requirements and contributing an annual fee, acquire certain rights and have access to special benefits, whereupon they become preferred customers of the Chamber of Commerce of Bogotá. For more information, click on see more. What should I do to join the CCB Member's Circle? 1. Fill out the membership application form. 2. File the request in any of our offices, you can also send it via fax to 3830690 ext. 2660 or email: afiliados1@ccb.org.co. 3. Pay your membership at our offices or through our website by simply clicking on see more to access the online services. What rights do members obtain? Included in the many benefits are: to elect and be elected to the Board of Directors of the CCB; to obtain free certificates for up to twice the value of the membership fee; to receive free publications: observatories, gazettes, and research. Click on see more for more information.